Handy bag to hold your drumsticks. Here we have a handy and reliable bag to carry and keep your drumsticks safe. Its is made of black, rip proof nylon. A hardwearing and extremely useful bag. 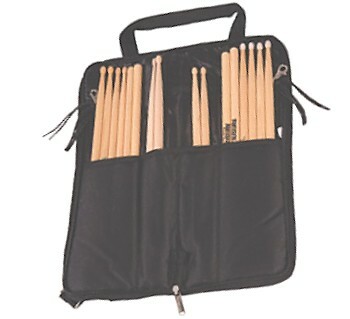 The bag can hold approximately eight pairs of drumsticks. Please note: Drumsticks are not included with the bag.